Hi. We’re Dorm Room Fund — the best way for student founders to grow their startup. Built by students and powered by First Round Capital, we provide founders with a strong network of investors, world-class mentors, and a $20,000 check. ⚡️ We’ve invested in 150 startups that have gone on to raise $300M+ in follow on funding from Andreessen Horowitz , First Round Capital, Union Square Ventures, Sequoia Capital and more. ⚡️We represented the largest community in Y Combinator, with 8 startups in the recent S17 batch. ⚡️ We’ve delivered the best-in-class entrepreneurship and VC education to our student partners and helped them build successful startups, launch venture funds, and land careers at Sequoia Capital, KPCB, the White House, Dropbox, Google, and more. We’re a team of undergraduates, MBA students, PhD candidates, and master’s students who are engineers, entrepreneurs, and innovators across the nation. We fund our most promising peers and provide them with the resources they need to grow their startups while in school. We have 4 teams — Bay Area, Boston, NYC and Philly — with 36 total partners across the board. Our team members come from all different backgrounds, from researchers to technologists, to writers, to chess champions. We meet with student founders to discuss their startups. Sometimes these student founders are at our school, and sometimes we travel to events to meet them. We research markets and technologies to be able to evaluate the companies we see diligently. We hold weekly investment meetings where we listen to pitches, engage in discussion, and make investment decisions. We write checks — we give every company we fund a check for $20,000 and access to our community and portfolio resources. We meet with our portfolio founders regularly and help them learn the ins and outs of fundraising, launch strategy, growth, and hiring. In addition, we connect them with world-class advisors, investors, and mentors to help them solve their key problems. We host events, talks, and dinners both internally at DRF and for the larger student entrepreneurship community. We speak at entrepreneurship events at our schools, and we tend to be judges at pitch competitions and hackathons. We’re looking for new partners to join the Dorm Room Fund teams in Boston, New York, Philadelphia, and the Bay Area. Demonstrated interested in supporting entrepreneurs and passionate peers. You’re an active member of an entrepreneurship club or startup at your school and engaged with the startup community at your university or beyond. Passion for entrepreneurship and curiosity about new technology. You have an understanding of what’s happening in tech and VC, you love learning about new technology, you have some experience working with startups or in venture. Confidence in your beliefs. You’re always looking for themes, analyzing trends, and thinking critically about the future. You enjoy sparking discussion and sharing your viewpoints. Initiative. You have ideas for how you’re going to improve Dorm Room Fund and student entrepreneurship in your community and are excited to put them in action. You’re execution oriented and pumped to build a community with an awesome team. Our partners spend about 10 hours a week running Dorm Room Fund. It’s a serious commitment, but it’s also a ton of fun and a world-class learning experience. As a member of Dorm Room Fund, you’ll graduate with hands-on venture experience, cross-industry startup knowledge, and most importantly, be part of a national community of talented entrepreneurs and investors. Our alumni have gone on to do amazing work — from raising millions in funding for their own startups, to launching their own venture firms. We welcome students of all backgrounds to apply. You could be a freshman majoring in philosophy or a PhD student studying artificial intelligence. As long as you’re a full-time student graduating 2019 or later, you’re invited to apply to join the Dorm Room Fund team. We’re also looking for students to join our Engineering team. Our day-to-day involves building software and products to empower DRF founders and partners. Applications open on September 15th and close on October 15th at 11:59pm EST. Applications are rolling, which means the sooner you apply, the sooner you’ll hear back. Questions? E-mail us at info@drf.vc or comment below. We’ll continue to update our FAQs. Looking forward to seeing your application! 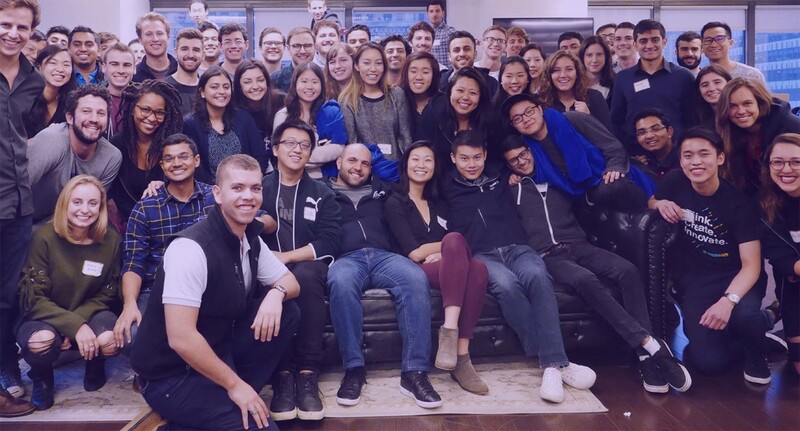 Built by students and powered by @FirstRound, we provide our founders with a strong network of investors, access to world-class mentors, and a $20,000 check.